Our mission is to honor the accomplishments of and to perpetuate the history of African-Americans serving in the United States Army Air Corps and Air Force during World War II. We refer to these brave men as the Tuskegee Airmen and it includes pilots, air crew, ground crew and operations support. We also introduce young people in our community to the world of aviation and science through programs such as the Young Eagles and we provide educational assistance to students in the form of scholarships, training and mentorship. The Lee A. Archer Chapter, Tuskegee Airmen, Inc. is a non-profit, 501(C)(3) organization. Our fund raising initiatives are for our Youth Development Programs and Education Awards Funds. 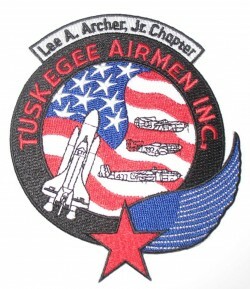 The Lee A. Archer Chapter of the Tuskegee Airmen, Inc (TAI) was incorporated at Travis AFB, CA in December, 2000. We are an education and community service organization dedicated to maintaining the traditions of the Tuskegee Airmen and preserving the legacy of the first generation of African American military aviators of the Second World War.